The genomes of people with amyotrophic lateral sclerosis, even so-called sporadic cases, are often blemished by rare variants that may increase risk for the disease. Some unlucky folk tote two or even three of these potential risk alleles, and they develop the disease a decade earlier than people with only one variant, according to a paper in the November 7 Annals of Neurology online. Researchers led by Michael Harms of Washington University in St. Louis sequenced 15 different ALS genes in 391 people. First author Janet Cady and colleagues found that nearly two-thirds of familial cases, plus more than a quarter of so-called sporadic cases, contained variants in one or more of those genes. This is one of the first studies to examine multiple risk alleles, also called oligogenicity, in sporadic ALS. Harms and co-senior author Robert Baloh, who has moved to Cedars-Sinai Medical Center in Los Angeles, aimed to fully sequence the coding regions of 15 genes in people with ALS seen at the WashU Neuromuscular Disease Center. They also sequenced ALS patients from the Virginia Mason Medical Center in Seattle, where co-author John Ravits used to work. (Ravits has since transferred to the University of California in San Diego.) To get the sequences quickly and inexpensively, the researchers used a pooled sequencing protocol. They mixed together DNA from 25 to 50 subjects, and sequenced those pools. This identified 65 coding variants in the pool, but did not tell the researchers which people harbored which variants. To answer that question, the authors returned to the individual DNA samples. They used gene arrays or direct sequencing to check for specific sequence variations. This method allowed them to genotype all participants without deep sequencing each one. 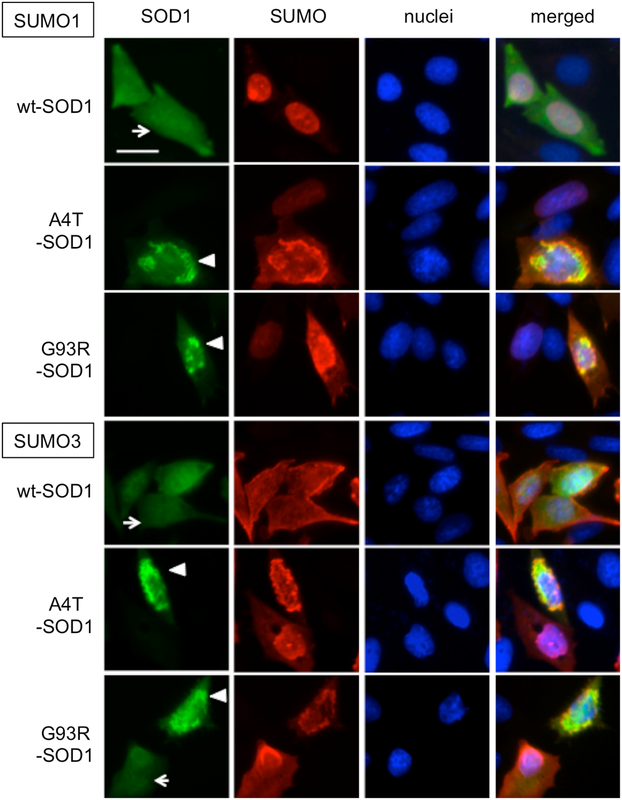 Cady and colleagues also checked the length of repeat regions in the ALS genes C9ORF72 and ataxin 2. The researchers identified variants in 64 percent of familial ALS cases. Interestingly, 28 percent of sporadic cases also harbored rare variants in ALS genes, suggesting that many sporadic ALS cases result from genetic risk factors. The authors compared their list to previously published ALS variants and to a database of control DNA sequences, the Exome Variant Server, which includes coding sequences from more than 200,000 Americans. Of the 65 variants the authors observed, 23 already have been reported in people with ALS. Of the 42 new ones, 25 were rare in control exomes, and 17 did not occur in those exomes at all. The authors suggest some of these variants are likely to enhance ALS risk. Cady’s sequences confirm other research suggesting that multiple genes can contribute to ALS in one individual (see Jan 2013 conference story). While this oligogenic hypothesis has detractors, several research groups have now reported multi-gene cases, commented Michael van Es of the University Medical Center Utrecht in the Netherlands, who was not involved in the WashU study. Van Es estimates that 5 to 10 percent of people with ALS who have a family history of the disease likely carry multiple variants (see full comment below). In this paper, the rate was even higher, 14 percent. Few researchers have examined oligogenicity in sporadic ALS, van Es added. Harms and colleagues reported that 2.6 percent of sporadic cases had multiple potentially pathogenic variants. With multiple possible ALS risk alleles popping up in non-familial cases, is “sporadic” the right term for someone without a family history of this disease? The word implies random chance, and confuses patients who then assume their disease has no genetic roots, Harms said. He suggests using “simplex” instead; this genetic term means there is a single known case of disease in a family. Some researchers who spoke with Alzforum raised caveats. The main concern was that the researchers cannot confirm that the variants they saw were truly causative or risk alleles. Some could simply be neutral polymorphisms. “Many variants on their list are thought to be benign,” commented Marka van Blitterswijk of the Mayo Clinic in Jacksonville, Florida, who was not involved with the study. Harms concurred, “We are not suggesting that these variants are, for sure, pathogenic.” It can be difficult to determine if very rare genetic substitutions contribute to disease, as for most genes there is no functional assay to identify pathogenicity. Van Blitterswijk suggested that computer algorithms to predict alterations to protein structure or function could help identify the real ALS risk alleles. Baloh said the authors decided against using those algorithms because they are unreliable, but was unable to estimate how many of the 65 variants in the paper truly contribute to ALS. Another concern about the paper, expressed by van Blitterswijk and Guy Rouleau of McGill University in Montreal, is that the controls were not sequenced in the same manner as the ALS cases. Since sequencing does not always read genes perfectly, or catch every different nucleotide, the pooled-sequenced cases might have different rates of read variants than the database controls. One option for controls would be to use the pooled sequencing protocol on a set of people without ALS, and see if they had a lower rate of variation in known ALS genes than the cases. Another control option, Rouleau suggested, would be to sequence 15 other, non-ALS-linked genes in the same 391 ALS patients. If the authors are correct that the ALS genes have high rates of variants, then one would predict that the non-ALS genes would have fewer variants in those subjects. Baloh considered the comment about a lack of appropriate controls fair criticism. The results need to be validated by other groups, he said. Harms added that once researchers have whole exomes of ALS cases in hand, they will be able to compare the variant rates of ALS genes and non-ALS genes, or compare case and control exomes. He and many others are working on exome sequencing.